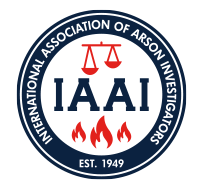 Career enhancement through professional credentialing programs: Certified Fire Investigator (IAAI-CFI®), Fire Investigation Technician (IAAI-FIT®), Evidence Collection Technician (IAAI-ECT), and Certified Instructor (IAAI-CI). Professional development through IAAI-exclusive, in-person classes and the annual IAAI International Training Conference. Membership fees range from $25-$100/year, depending on professional status, and that fee is quickly recouped through taking advantage of member rates on credential applications, in-person courses, ITC registration, and many other IAAI activities. Click here to learn more about membership and join today.